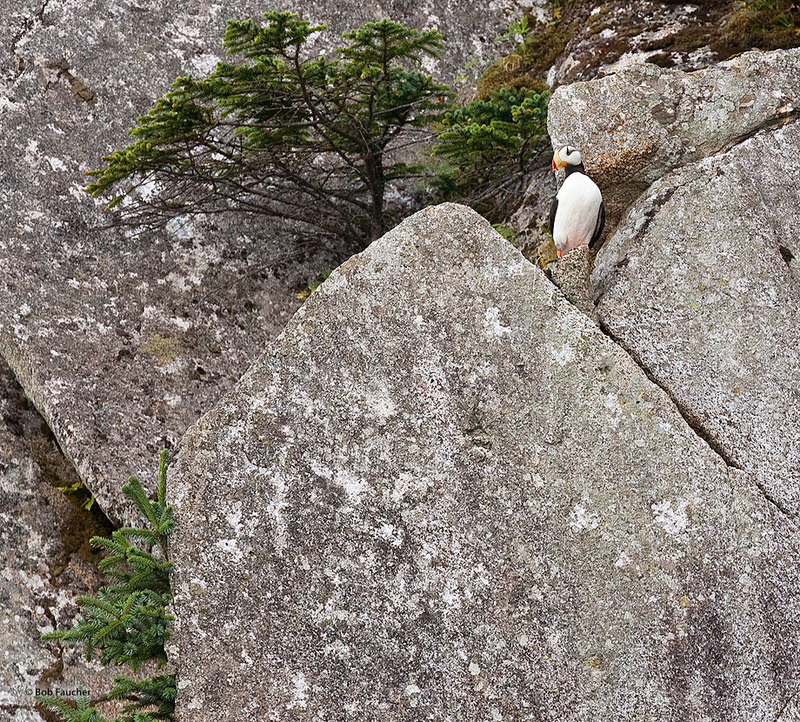 Horned Puffin on a rocky outcrop near its cliffside nest site. Pelagic birds, they only come ashore to nest. Photo © copyright by Robert Faucher.